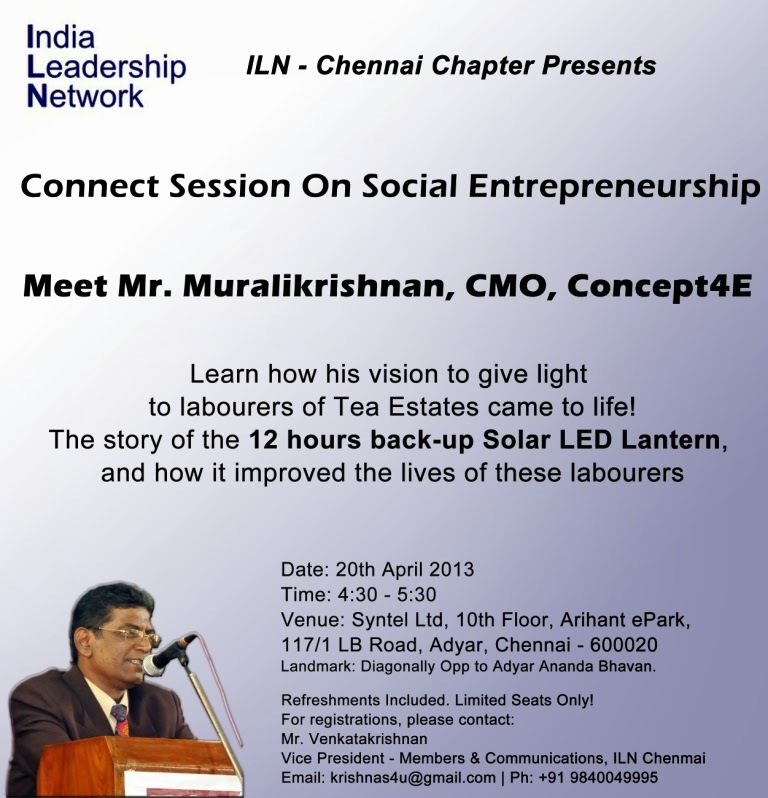 Meet Mr. Murlikrishnan, sharing his story of the 12 hour Solar LED lantern, that lit the lives of labourers working in Tea Estates. Please do the needful to get me registered for the said session. Let me know in case you need any other information. Please reach me at 9600017037. But most of all, go on there, have fun and socialize. The whole point in social network marketing sites is to go be social first, business comes second.